Q: What’s the CCTV security camera lens mm meaning? How can I choose a best security camera lens? A: Understanding the security camera lens can be a tricky process. Though the numbers listed with the security camera lens seem simple enough, it is far more confusing to know the implications behind those numbers. To get the best picks of security camera lens, it is important to gain an insight into the CCTV camera lens types and comparison first. Now continue reading to learn how you can choose a right security camera lens and find the best security cameras with wide angle lens/varifocal lens that suit you most. In a nutshell, the CCTV camera lens types can be divided into security camera fixed lens (also called monofocal lens) and security camera varifocal lens. The focal length of CCTV security camera fixed lens is permanently set, meaning the field of view of fixed lens security cameras cannot be changed. You need to decide whether a wide angle security camera lens or a narrow angle lens is most suitable in your situation. On the contrary, the CCTV camera varifocal lens allows you to adjust the focal length for your specific needs, which is also typically more expensive than security cameras fixed lens. Among the varifocal CCTV security cameras, many are equipped with motorized zoom lenses, such as the PTZ security cameras. Compared with the conventional manual varifocal lens, the security camera with motorized zoom lens can automatically adjust the focal length of camera to get clear auto focused images. Quick Clarification: If you need to switch easily between wide angle lens and narrow field of view, it is recommended you choose the security cameras with zoom lens. The camera’s field of view can be controlled through Zoom/Focus buttons on web interface or the smartphone App. This table below will show you the comparison of different security cameras lenses. 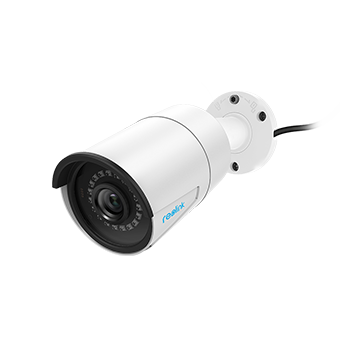 Security Camera Fixed Lens Has a constant focal length and you cannot adjust the focal length, angle of view, or level of zoom. When you need to monitor the interior space and the scenes that don’t typically change much. Rooms in your smart home, like your baby’s or parents’ room. Security Camera Varifocal Lens Has a variable focal length and you can adjust it as you need. When you want to get a close shot to identify a person/vehicle or monitor entrances and large areas. Front door, back door, garage, gate, parking lots, etc. Now let’s start to touch on the complexity of security camera lenses and walk through the top 5 can’t-miss factors when selecting the best lens for security cameras. The security camera lens size, or focal length, measured in mm, is an important term in security camera lens and determines the field of view, also called the viewing angle for a particular camera lens. So what’s the difference between CCTV camera 2.8mm lens, 3.6mm lens and 12mm lens security cameras? In short, the smaller the security camera lens focal length number is, the wider area you can see but in lesser details; the bigger the focal length, the further you can see, but with narrower viewing angle. The security camera focal length can vary from wide angles that can take in an entire landscape to security camera telephoto lenses which can zoom in on a small subject in the distance. 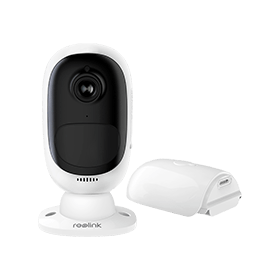 Taking Reolink security camera lens for example, the wide angle lens security camera Reolink RLC-410 with the 1/3″ CMOS sensor and 4.0mm focal length features a wide field of view (horizontal: 80°, vertical: 42°) to cover the areas you need to monitor. Hint: The security cameras with wide angle lens work best for large-area places such as the parking lots, back yard, warehouses, construction sites, etc. While the narrow angle lens cameras are ideal for critical entrances, like the doorways, hallways, cash registers, etc. The aperture of security camera lens is the hole that light passes through to enter the camera, which is measured in f-stops. What might be confusing, however, is that a lower number of f-stops represents a wider aperture. Say, f1.4 is a large aperture and allows for more light to pass into the camera. The aperture is a significant term for security camera lens because it can affect the camera’s depth of field — the distance between the nearest and farthest objects in a scene that appear sharp in an image. The narrow aperture corresponds with large depth of field, which contributes to more objects captured in focus. Hint: You can control how much of a scene is in focus by adjusting the security camera lens aperture. A wide aperture will make objects in front of you well focused but the background blurry. Whereas a small aperture will lead to everything captured in focus. However, it is not the case that the wider the iris, the better images you can get. Too much light can wash out your video and you little light makes the scene dark. So it is vital to pick up a suitable iris type for your purpose. The fixed and manual iris lenses are typically used for indoor environment where the light stays consistent, such as an office, school or shop. The auto iris lens, on the other hand, can automatically adjust light changes and is more ideal for outdoor locations where there are light variations. Hint: Think about where you are going to position the security cameras before diving into the security cameras lens purchase. Indoor or outdoor? That will influence the final iris types you pick up. When you look at the listed specification of security camera lenses, you will notice the numbers such as 1/2″, 1/3″, 2/3″, 1/4″ for the image sensors. Generally speaking, the smaller the camera format is, the narrower the security camera lens field of view is. For example, a 2/3” image sensor will see wider than a 1/3” one. That’s the format size of security cameras we are talking about. For lens format size, note that the lenses’ image format, say “2/3 inch image format”, is the maximum size it will allow. So bear in mind that the format size of a security camera lens should be equal or greater than that of cameras, otherwise the corners of the scene being viewed will be cut off. Hint: Remember to double check the format size of both security cameras and lens and follow the rule above to get great shot. C and CS mount are two available options when it comes to security camera lens mount, whose main differences lie in the distance from the image sensor to the lens. The distance for C Mount is 17.5 mm while the CS Mount is 12.5 mm. Hint: When selecting the lens for security cameras, check whether the lens and security cameras allow for C Mount or CS mount. Not having the matching lens could be responsible for the inferior images of security cameras. Not satisfied with the field of view of your current security camera lenses? Or want to watch live demos of security cameras with different types of lens so that you can judge which is the best? Here we’ve rounded up some best security cameras with fixed wide angle lens, varifocal lens and zoom lens. And each recommendation also comes with a video sample submitted by the real users for your reference. Reolink Argus® 2 is now the most popular battery powered & solar powered security camera with fixed wide angle lens and features 130° wide viewing angle. You can install it indoors & outdoors to monitor the critical entrances or the sites without power supply, such as the barn, farm, front door, back door, backyard, etc. As it comes with a rechargeable battery that can last 4-6 months in standby-mode after fully charged, you don’t need to spend extra money replacing batteries frequently. Thanks to the advanced Sony starlight image sensor, Reolink Argus® 2 can deliver clearer videos with more visual details compared with other models at the same price level. 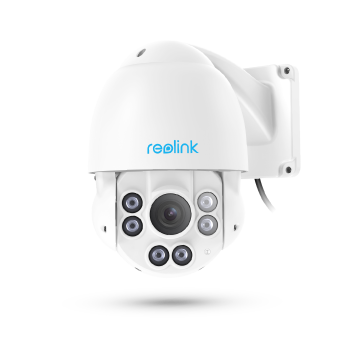 With the 1/3″ CMOS sensor and 4.0 mm fixed lens, Reolink RLC-410 stands out as a best quality PoE security camera with wide angle lens, featuring 80° field of view horizontally and 42° vertically. Rated as IP 66 waterproof, this outdoor & indoor wide angle lens security camera is ideal for a wide range of applications, like your garage, driveway, small businesses, construction sites, etc. It also possesses a built-in microphone so that you can listen to your pets, baby or elderly parents via the smart phone or computer when you are thousands of miles away. 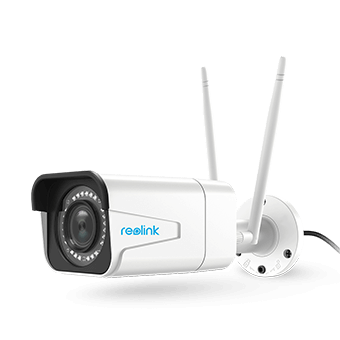 Among the wireless security cameras with wide angle lens, Reolink RLC-511W is the one that can you should definitely not miss. There are also two resolution options for your choice: 4MP (35° ~ 95° field of view horizontally & 20° ~ 50° vertically) and 5MP versions (33° ~ 98° field of view horizontally & 22° ~ 54° vertically). In virtue of the 4X optical zoom, you can also zoom in/out to identify more details, like human face or license plate numbers from a distance without sacrificing the image quality. If you are looking for a security camera with zoom lens and don’t want anyone to see where the camera lens is actually pointed, the PTZ security camera Reolink RLC-423 should suit you fine. Capable of 360° endless pan, 90° tilt and 4X optical zoom, this security camera with zoom lens boasts a wide viewing angle (33° – 98°) and also allows you to pinpoint smallest detail with no blind spots left. You can also configurate up to 16 presets per patrol and set up the cruise speed on your smart phone so the camera can rotate non-stop and cover as large areas as you wish. The dirt, dust or spiderwebs on your security camera lens could lead to distorted and blurry images. To get the most of your security cameras, follow the handy tips below to clean your CCTV security camera lens on a regular basis, say, twice a year for optimal performance. Step 1: Shut off your CCTV camera systems before you start to clean the security camera lenses, for fear that you should accidentally spoil the electronic system. Step 2: Use a can of compressed air and blow air at the lens to clean the dirt, dust or loose debris accumulated on the security camera lens. Step 3: Wipe the CCTV camera lens with a piece of soft microfiber cloth to avoid scratches on the sensitive lens surface. Step 4: Utilize a small dash of security camera lens cleaner to your micro-fiber cloth, and then wipe the lens gently. Or you can breathe onto the CCTV camera lens instead of using a lens cleaner. Editor’s Tip: Want to keep bugs/spiders or webs off your security camera lens? Read this post to gain more practical ideas about how to protect your security camera. With a host of security camera lens in the market, the best approach is to do your research before rushing into a shop and being taken in by what the sellers advertise. Then how do you know what the right security camera lens and the appropriate security camera lens focal length are? Well, the sellers can lie to you but the numbers won’t. A security camera lens calculator can help you put an end to the puzzle about right focal length. Simply input the image sensor size, scene width, height and distance, you will get the final lens focal length fitting your application best. In addition, a security camera lens field of view calculator is also a handy solution to figure out the accurate viewing angles, providing reference for your security camera lens selection. And if you still have any problems selecting the right security camera lenses, please don’t hesitate to contact us in the comment box below and we’ll offer the best assistance as we can! This entry was posted in Buyer's Guide and tagged Security Camera Lens. Can you give me in a nutshell guidance the spesific how to way choose camera lens ?